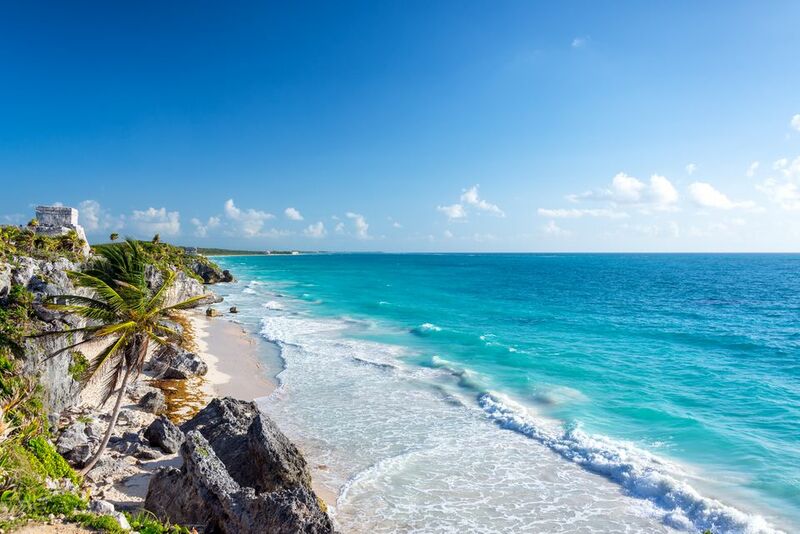 Mexico has some of the finest beaches in the world, and its colonial cities offer a glimpse into a fascinating period, with attractions such as museums, historic monuments, handicraft villages, and archaeological sites. If you're taking a week-long vacation in Mexico, there's no need to feel you have to choose between the enriching experience of visiting a historic city or relaxing on the beach. A one-week itinerary is just enough to experience a range of what Mexico has to offer. A great way to enjoy a week in Mexico is to combine a visit to one of Mexico's charming colonial cities followed by a few days on the coast. This allows you to experience some history and culture as well as enjoy some relaxing time at the beach to ensure that you return home refreshed and energized. Check out these suggested Mexico itineraries that combine the best the country's history and coastal beauty. On this trip, you'll spend the first three days in Mérida, one day in Chichén Itzá, and three days in Cancun. Admire the white stone buildings in colonial Mérida, and check out its many art and cultural events. Nearby are ruins and a National Wildlife Refuge that flamingos call home. Between Mérida and Cancun, you'll stop at Chichén Itzá, one of the most significant Mayan archaeological sites. Once in Cancun—one of Mexico's premier resort areas—enjoy the resorts, delicious food, and beautiful beaches where you can scuba or snorkel. This itinerary gives you four days to explore the state of Oaxaca and Oaxaca City and three days to relax on Huatulco on the Pacific Coast. In historical Oaxaca City, check out Zocalo, its town square, and admire the handicrafts of many talented local artisans. Foodies will be in heaven because the city is home to many outstanding restaurants. Once in Huatulco, snorkel in one of its ecological reserves, take a boat excursion or just hang out on the beach.